Every 4 years, the summer Olympics are a chance for competitors to determine who is the best in their sport. All of the credit goes to the athlete with the gold medal, standing on the podium listening to their country’s national anthem after they have established a new world record. Years and years of training have led up to that specific moment in time when they could say they were the best in the world. Their speeches often thank their support group of parents, coaches, and colleagues. Are they forgetting someone? 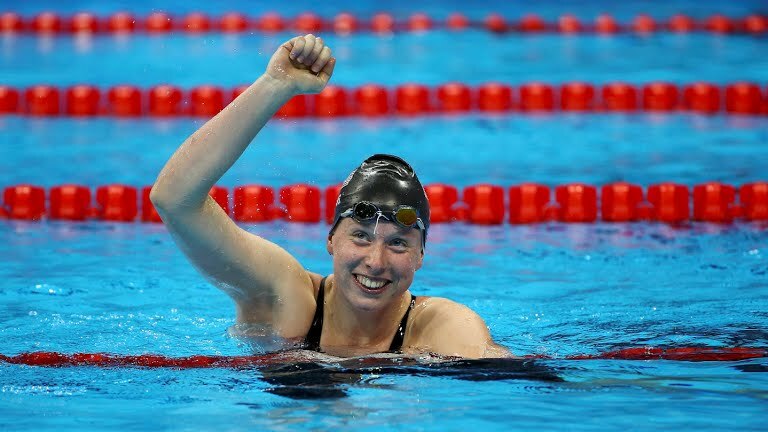 The day after Lilly King won the 100-meter breaststroke, I was wondering how much the sport has really changed throughout the life of the games. How are athletes able to obtain every little edge to win in a sport that is decided by tenths of seconds? While Lilly King has proven herself to be one of the best, I think there might be a little more to some of these new world records. Over the years, new technologies for swimmers have contributed to record breaking times. Their suits are now designed to mimic shark skin. They contain bumps and ridges to help the water pass over the swimmer with less friction. Another aid to the swimmers is the design of the pools. Olympic pools are purposely designed to be deeper in order to prevent water disturbances from bouncing off the bottom of the pool and interfering with the swimmers water near the surface. These type of behind the scene designs help the athlete gain every competitive advantage needed to bring home the gold and set new world records. Often times, a designer’s best work is behind the scenes. Sometimes that means walking through an abandoned building and envisioning what the new space will look like; scouring through prints to make sure there are no interferences for the builders; crunching the numbers to size the pipe correctly; spending hours in front of a keyboard and computer screen programming a robot. All of these little details are what designers do behind the scenes. Even though they are not competing for a gold medal or being recognized as helping someone achieve their goals, for the designer behind the scenes, the reward is just as sweet.